The Warrnambool Symphony Orchestra’s annual Children’s Concert is on this Sunday. 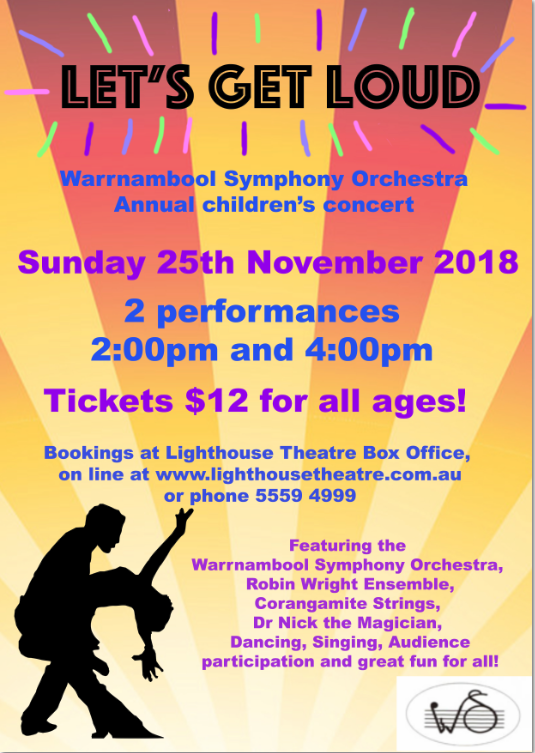 As it sold out last year, there will be two concerts, one at 2pm and 4pm. The concerts go for an hour and feature well known music and a magican! You can book tickets online. Terang College violinist, Emily Fuge has been rehearsing with WSO, along with Mrs Pugh, and playing pieces such as Harry Potter Theme and Monster Mash. A great chance to see an orchestra in action!